This is a bit awkward. I managed to miss a month of updating everyone on how my backlogging progress was going! September was a blur, as I was in Japan for the majority of the month and one day of that amazing trip was spent at Tokyo Game Show. Scott and I hoped that everyone enjoyed our photos and the coverage of the event. It was such a different experience compared to visiting North American conventions. While in Japan I ended up buying a few imports. 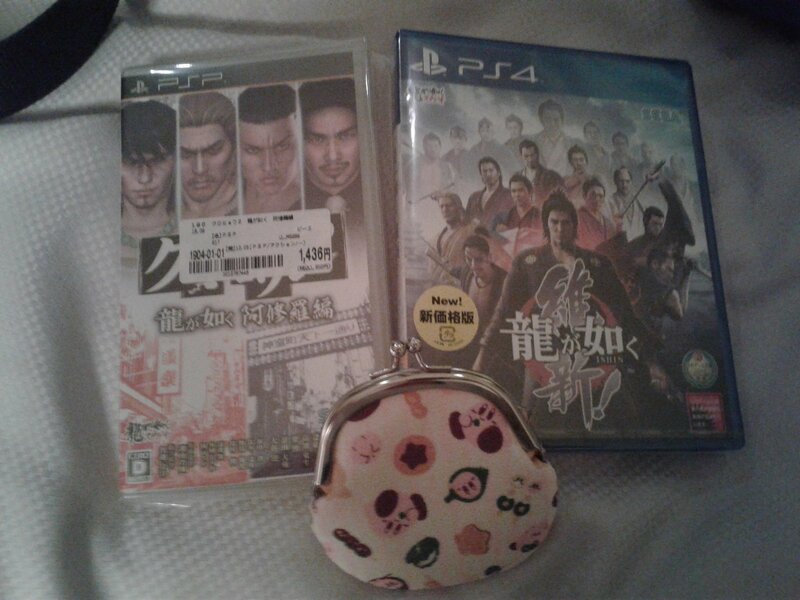 Mainly, I bought the Yakuza titles that we didn’t get in North America, so Isshin!, Black Panther I and II. 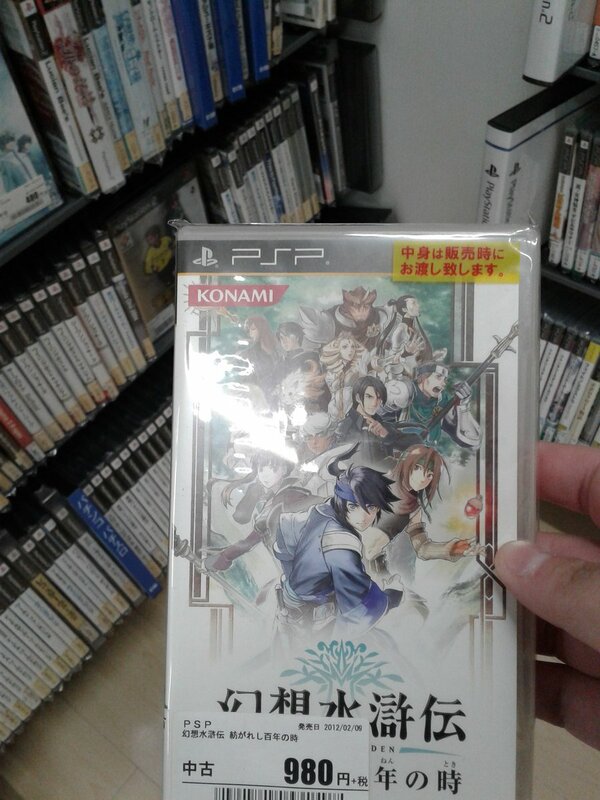 My unique find was managing to score a copy of Genso Suikoden: Tsumugareshi Hyakunen no Toki for the PSP, which I had never seen in the wild. Scott ended up buying every Super Robot Wars game he could find on GBA, DS, PSP, and Vita, and he also managed to find the Keroro RPG, a game that the amazing Michael Baker thinks very highly of! Overall, it was an amazing trip and frankly, I didn’t game much. When I did, I was noodling around with Dragon Quest Monsters: Joker 2, and I am only about an hour into it and haven’t gone back. Since my last update I’ve made it to the end of Chapter 3. I hate the end of Chapter 3, because it means having to fight Wiegraf, the fight everyone seems to get stumped on if they haven’t leveled themselves up very well, or picked a Zodiac sign for Ramza that manages to reduce damage. I am doing a ton of grinding at the moment, as I’d like to have a few Lancers this time around. Normally, I love doing Knight with the two-swords ability plus counter, because usually with two platinum swords, Wiegraf goes down pretty quickly, and then it’s much easier to manage that second part of the battle. Having never played the War of the Lions edition, I’m curious to see how the balance is going to be for this fight, or if it’s really changed at all. I really in some ways should not be replaying this game, given how many times I’ve beaten Final Fantasy Tactics, but I think I’ve been craving something that just felt familiar. It’s a story I absolutely adore, its tactical system is engaging, and it’s wonderful to be reunited right now with Ramza and Delita because it feels like I haven’t delved into their story in such a long time. Hopefully in the next update I’ll be deep into Chapter 4, exploring more of the newer content. This is my favourite game in the Yakuza series. It has the strongest storyline and it does an amazing job of balancing the ridiculous with hard-hitting drama. It felt so good to replay this gem, and it has me beyond excited that many folks out there are finally giving the Yakuza series a try. While this was a worthy replay, I will say I didn’t find the Majima content as engaging as I had hoped. It takes around two hours to complete and while the story is great, the gameplay part is short, dull, and it just doesn’t give enough for the player to feel like they’ve contributed much. While I’d say more on the experience, I think Joshua Carpenter’s review says everything perfectly. I’ve been honestly feeling quite RPG-ed-out. I’ve been finding, especially since I’ve gotten back from Japan, that I’ve been more in the mood for open world or adventure games. I am sitting on this giant plethora of games, and my mood is just going “eh.” I only have two months left to complete my one challenge I sent for myself, which was complete Final Fantasy X. I still think that is is doable, though it requires me to not be playing Red Dead Redemption II or Shadows of the Tomb Raider. With just two months left, I wonder how much more I’ll complete and I am looking forward to reflecting on this project as a whole. I always enjoy reading these. I’m jealous about your Suiko-find.